A related issue addressed in this research is whether or not these handmaids in the Jacob story, who are depicted in Christian art as playing important roles and holding crucial positions in the family, are biblically more important to both the narrative and the family than has traditionally been recognized. Because of the importance of the historical context, the story of Zilpah and Bilhah is a remarkable myth for females and may be viewed as a master archetype of the age-old infertility problem. This raises of the question of how handmaids were defined in the Bible. In the study, examples of Christian art were included with the Bible commentary. Consequently, identifying the handmaids is only possible by following the chronological sequence of events in Genesis. This study also shows the identify of handmaids in the biblical book of Genesis. Besides the Bible, rabbinic sources were also investigated in detail. It is possible that children may have increased the status of women in Genesis but this is only true of women who already had status to speak of. Bu araştırma aile içinde önemli bir pozisyona sahip olan Yakup hikayesindeki cariyelerin (Zilpa ve Bilha) Hıristiyan Sanatı’nda nasıl tasvir edildikleri ile ilgilidir. Söz konusu cariyelerin (Zilpa ve Bilha) varolmasında Kutsal Kitaptaki hikayelerin mi yoksa bilinen geleneksel ailelerin rolünün etkin olup olmadığı araştırmanın bir diğer konusudur. Tarihsel bağlamın önemi nedeniyle Zilpa ve Bilha’ın hikâyesi kadınlar için kayda değer bir mitdir ve süregelen infertilite (kısırlık) probleminin arketipleri olarak görülebilir. Bu durum cariyelerin Kutsal Kitap’ta nasıl tanımlandığı sorusunu gündeme getirir. Araştırmada, Hıristiyan sanatından özellikle Bizans Sanatı’ndan örneklere Kutsal Kitap yorumlasıyla birlikte yer verilmiştir. 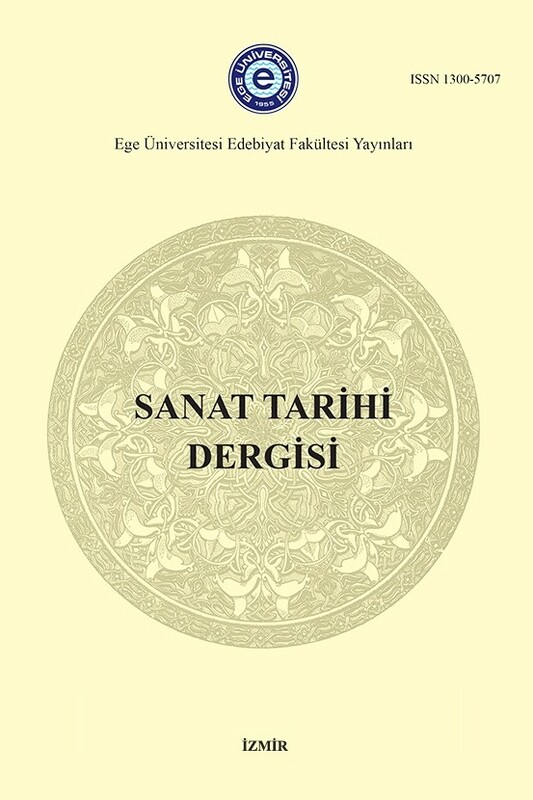 Ancak cariyeleri sanat eserlerinde tanımlamak, Kutsal Kitap’taki Yaratılış metnindeki olayların kronolojik sıralamasını izleyerek mümkün olmuştur. Söz konusu çalışma, Kutsal Kitap’taki Yaratılış bölümünde bahsi geçen cariyelerin nasıl tanımlandıklarını da göstermektedir. Konuyla ilgili kaynak olarak Kutsal Kitap dışında rabinik kaynaklar da detaylı bir biçimde araştırılmıştır. Bununla birlikte Yaradılış’da söz edilen çocukların, kadınların (annelerinin) statüsünü arttırmış olmaları muhtemeldir, ancak bu durum sadece belli bir statüye sahip kadınlar için geçerli olduğu görülür. Albright W. F. (1918). Historical and Mythical Elements in the Story of Joseph. Journal of Biblical Literature. Vol. 37, No. ¾, 111-143. Block D. I. (2003). Marriage and Family in Ancient Israel. In Campbell, K. M. (Ed.). Marriage and Family in the Biblical World. pp. 33-103. USA: InterVasity Press. Botterweck G. J., Ringgren H., & Fabry H. J. (Ed.) (2001). Theological Dictionary of the Old Testament. Vol XI, Grand Rapids: William B. Eerdmans Publishing Company. Brenner A. (1986). Female Social Behaviour: Two Descriptive Patterns within the “Birth of the Hero” Paradigm. Vetus Testamentum. Vol. 36, Fasc. 3, 257-273. Cutler A. (1998). Late Antique and Byzantine Ivory Carving. Collected Studies, 617 Variorum. Friedlander G. (Trans.) (1916). Rabbi Eliezer. Pirke De Rabbi Eliezer. London: Kegan Paul, Trench, Turner & Co. Ltd.
Kramer, P. S.(1998). Biblical Women that Come in Pairs: The Use of Female Pairs as a Literary Device in the Hebrew Bible. (ed. Brenner A.) Genesis: A Feminist Companion to the Bible. FCB2 1; Sheffield: Sheffield Academic Press. Leonhardt Joy K. (2004). And as for Sarai...” First Wives and the Inheritance of Land In the Promise Narratives of Genesis (Master of Arts). University of Alberta. Levin D. M. (1972). Some Jewish Sources for the Vienna Genesis. The Art Bulletin. Vol. 54, No. 3, 241-244. Liddell H. G. & Scott R. (Ed.) (1901). Greek-English Lexicon. Oxford: Clarendon Press. Lowden J. (1992). Concerning the Cotton Genesis and Other Illustrated Manuscripts of Genesis. Gesta, Vol. 31, No. 1, 40-53. Luttikhuizen H. & Verkerk D. (2006) Snyder’s Medieval Art. 2nd ed., (Upper Saddle River, NJ: Prentice Hall. Moss, C. R. & Baden, J. S. (2015). Reconceiving Infertility Biblical Perspectives on Procreation and Childlessness. Princeton: Princeton University Press. Spanier, K. (1989). Aspects of Fratriarchy in the Old Testament (Ph.D. dissertation). New York University. Von Rad G. (1972). Genesis A Commentary (Revised Edition). London: SCM Press LTD.
Weitzmann, K. & Bernabò, M. (1999). The Byzantine octateuchs: Mount Athos, Vatopedi Monastery, codex 602; Florence, Biblioteca Medicea Laurenziana, Codex Pluteus 5.38; Istanbul, Topkapi Sarayi Library, codex G. I. 8; Rome, Biblioteca Apostolica Vaticana, Codex Vaticanus Graecus 746 and Codex Vaticanus Graecus 747; Smyrna (olim), Evangelical School Library, codex A. 1. Text. Princeton, NJ: Princeton Univ. Pr. Wevers, J. W. (1974). Septuaginta: Vetus Testamentum Graecum. 1. Genesis. Göttingen: Vandenhoeck & Ruprecht.